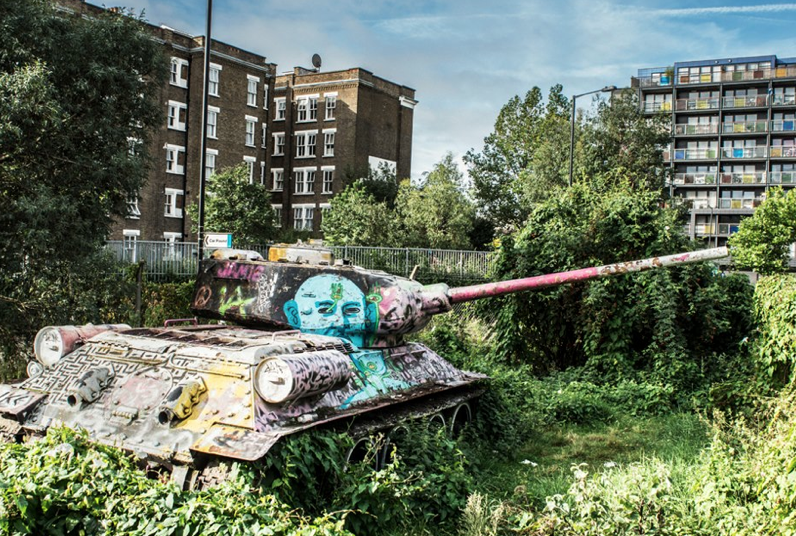 I have just found this brilliant photograph of a Soviet T-34 tank, that can be found, of all places, on Mandela Way in Bermondsey, South London. Only slightly more mundane rumours tell how the tank took part in the bloody Prague Spring of 1968 before it was imported to London to be used in the 1995 film version of Richard III before being abandoned on wasteland. I want a tank for Christmas now!